Microsoft endorses IT professionals and developers with expertise in technologies and solutions by a Microsoft Certification. With 4.5 million Microsoft Certified Professionals, worldwide the Certification is a recognized industry standard, which helps open doors to potential job opportunities. 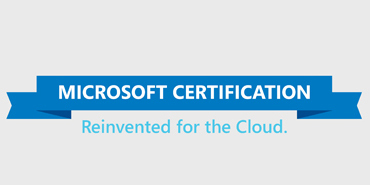 Microsoft Certified ProfessionalThe Microsoft Certified Professionals are IT experts who are certified in Microsoft technologies. . This credential provides access to community resources and tools that allow you to exchange ideas with peers, increase your knowledge and skills, and broaden your career opportunities. PreparationMicrosoft offers a variety of preparation materials to help you. Practice testsPractice tests help you assess your current level of skill. Microsoft Certified Practice Test Providers (PTPs) offer the highest quality of products and services. Microsoft Certified PTPs offer free demo versions of their MCP practice tests. Instructor-led trainingMicrosoft Learning Partners deliver classroom and online training throughout the world. Microsoft Certified Trainers (MCTs) provide a superior learning experience by drawing on their in-depth expertise and by using Official Microsoft Learning Products. Self-paced trainingIdeal for candidates who already use Microsoft technologies in the workplace and want to enhance their skills, this method of training requires self-discipline and a background in the technology that is featured. Microsoft E-Learning self-paced training offers you the flexibility to learn at a time and place that is convenient for you. Microsoft Press booksWritten by industry and Microsoft technology experts, Microsoft Press books provide accurate and up-to-date information to help you prepare for your exam. Self-paced training kitsMicrosoft self-paced training kits are developed by expert authors to support Microsoft Certification exams for IT professionals and developers. Microsoft online resourcesLearning Plans: Create your own step-by-step study guide in the My Learning section of the Training Catalog. Training portals: Visit the training portal for the technology covered in your exam to find special offers and additional information on training and certification. Product information: Visit Microsoft.com, select All Products, and navigate to detailed product information to learn more about a specific product. TechNet: Designed for IT professionals, this site includes how-to instructions, best practices, downloads, technical resources, newsgroups, and chats. MSDN: The Microsoft Developer Network (MSDN) features code samples, technical articles, downloads, newsgroups, and chats for developers. Microsoft Learning Community: Join newsgroups and community forums to connect with peers and seek advice about training resources and your certification path. Exam FormatsMicrosoft Certification exams are presented in a wide variety of formats.